Cooks 3½-qt. Enameled Cast Iron Dutch Oven Just $17.99! Down From $120! Limited Time Only! You are here: Home / Great Deals / Cooks 3½-qt. Enameled Cast Iron Dutch Oven Just $17.99! Down From $120! Limited Time Only! Cooks 3½-qt. 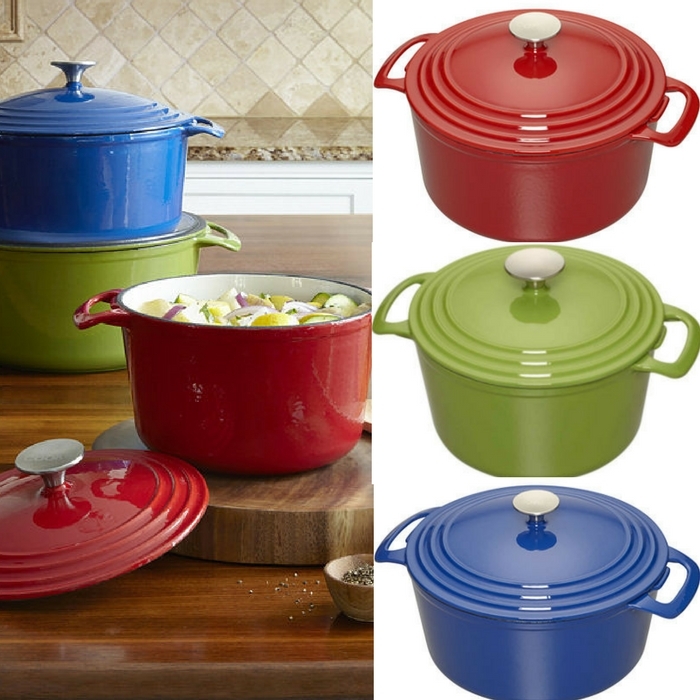 Enameled Cast Iron Dutch Oven Just $17.99! Limited Time Only! Limited Time Only! Get this awesome deal at JCPenny! Cooks 3½-qt. Enameled Cast Iron Dutch Oven is now on sale for just $17.99 down from $120 when you use promo code SOCOLD at checkout! Choose FREE in-store pick-up on $25+ orders or get FREE shipping on orders over $99!